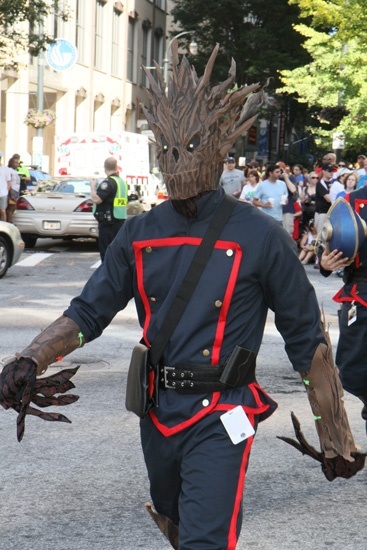 Welcome to the all things Groot page. 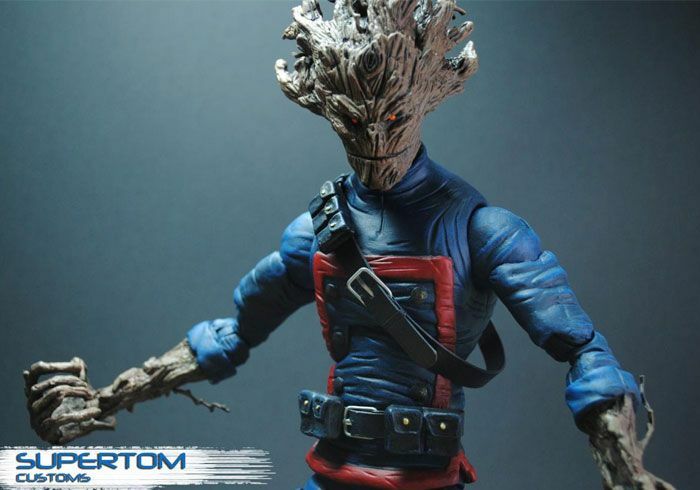 There are not many Groot toys but there are some awesome custom Groot toys. Check this one out by SuperTom. 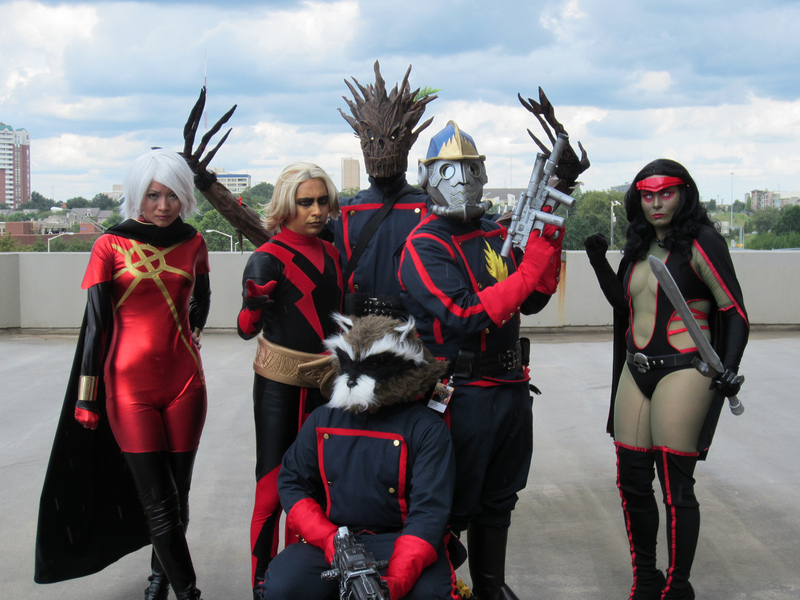 This one even includes a little Rocket Raccoon sitting on his shoulder. Groot Lego - He doesn't really have a mini . You construct a big groot out of legos. He will be in the Knowhere set. 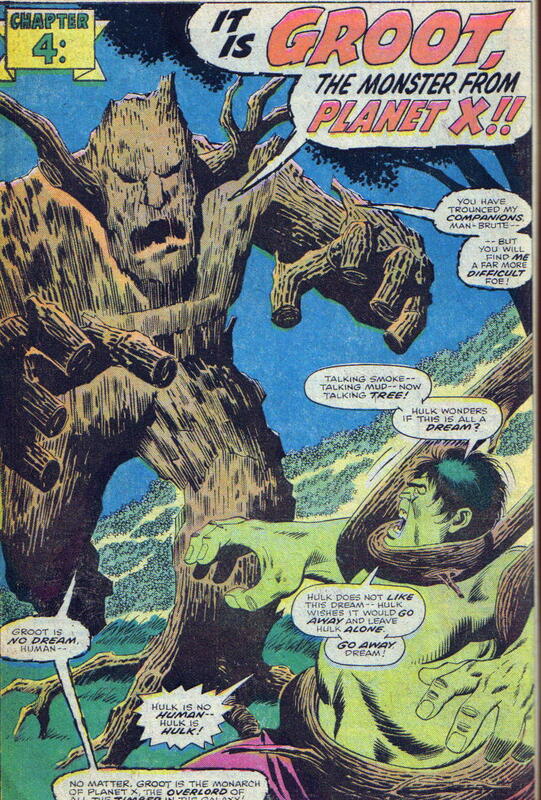 The original appearance of Groot as an angry alien monster tree and a later version of Groot battling Hulk. 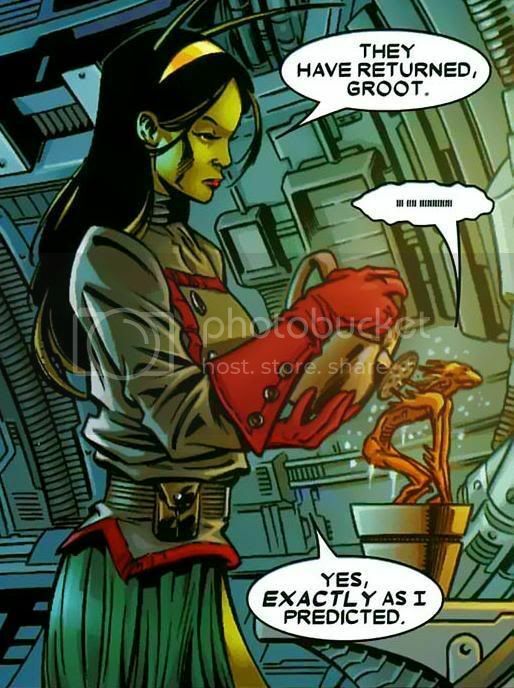 Notice that in these early versions Groot was able to say more than "I am Groot." Apparently his speech deteriorated as he became older. Groot being regrown by Mantis. Vin Diesel and "I am Groot"